Modern life, with all of its conveniences and technological advancements, can still be extremely stressful, annoying and generally unpleasant. Although there isn't much that can be done about growing wage gaps, rising fuel prices and longer shifts at the office to compensate, there are fortunately techniques that can be used to help reduce the impact of stress, enhance the beauty of your environment and improve your overall health. The secret weapons in this case are flowers and plants. The benefits of flowers are many-fold, beginning with their low cost and natural appeal and moving along to their medical and psychological attributes. If you're suffering from stress or chronic illness, this guide to these benefits of flowers may just be the thing for you. Stress is unavoidable in today's world. It is nearly impossible to live without it, and many argue that it's the cost of living the classic American Dream of owning a home, a car or two, raising a family, and having a lucrative career. Although it's neither wise nor advisable to simply abandon your life in favor of eliminating stress, there are fortunately alternatives to reducing it. - Appearance. The appearance of a fresh bouquet or beautiful and masterfully-crafted artificial arrangement is, alone, an effective method of battling stress, and one of the chief benefits of flowers in general. By simply having and attractive and naturally-inspiring floral presence in your home or office, you can help to recreate the calm and joy of being outside. Being able to glance up and see a vibrant mixture of blossoms can really help to lift your mood, and is recommended by many experts as a great option for fast-paced and hectic offices (and really, do the alternative even exist anymore)? It can also liven up a kitchen or home office if you spend the majority of your time there. - Scent. The attractive scent of many blossoms is another of the chief benefits of flowers. 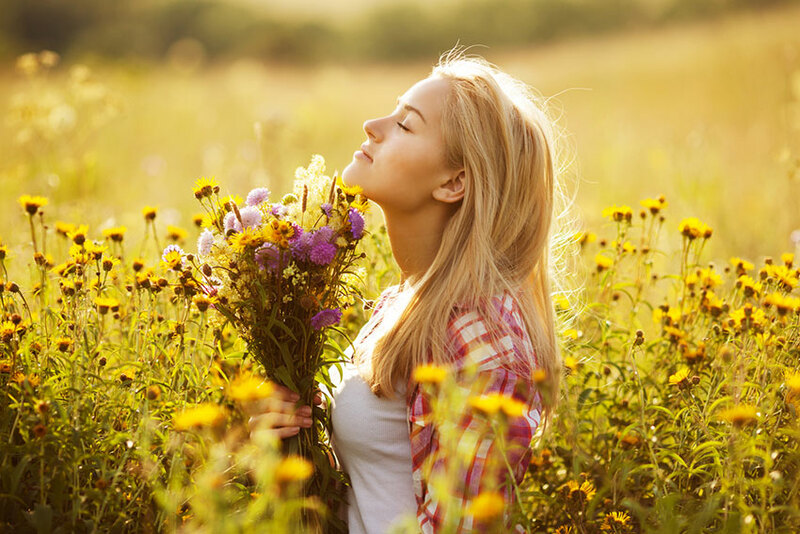 Covering up the musty, dusty and stale smell of the air in your office with the scent of a garden can do wonders on your mood, and may also help to improve your overall feeling of healthiness. - Air Purification. Living plants take in the carbon dioxide that humans breathe out and in turn produce more oxygen for us. This is part of the planet's natural respiration cycle, and prevents an excess of either carbon dioxide or oxygen in the atmosphere. Many offices are poorly-ventilated and have air that is unclean as a result of over-exposure to dust, mould and the chemical residue of cleaning solutions and office supplies. By introducing the element of a live plant, you can filter that air. Pure air increases your feeling of health and can also help to enhance productivity and lift moods. - Mood Enhancement. As touched upon above in the stress section, simply having plants around can improve your mood. Seeing hints of the outdoors present around you can help to clear away the storm clouds over the heads of even the most entrapped cubicle worker or file clerk. Positive environmental stimuli increase the number of endorphins produced in the brain, which in turn increases positive emotions. This is yet another of the handy benefits of flowers. As you can see, merely by having plants around you can help to boost your mood and health and reduce stress. This can often be enough to prevent some illness altogether, although we recommend that you always consult your doctor about any serious conditions before attempting remedies of your own. For more information on the benefits of flowers and how they can help you, visiting your local florist's shop will provide you with a professional source of advice. Heading online and browsing the Internet is a great way to access scientific studies about the benefits of flowers and how plants can battle stress and improve health.